In addition to our outstanding general education program, University Park has a variety of other programs and services to support student learning. The ACE program is a high-quality district-wide program supported by the Irvine Public Schools Foundation (IPSF) that provides opportunities for to participate in classes after school that is both fun and academic. 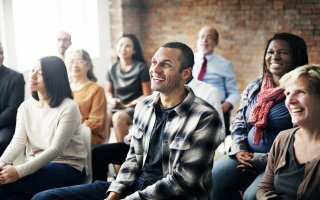 These fee-based enrichment classes are coordinated by volunteers at University Park and are taught by pre-approved professionals. All K-6 teachers in Irvine Unified School District are supported in the visual arts. The teachers are provided professional development in Arts Advantage, a curriculum facilitated by the Orange County Department of Education and The California Arts Project. This curriculum incorporates the California content standards in the visual arts and the Common Core State Standards. Professional development in the visual arts includes the collaborative development of lessons, lesson study, action research on curriculum implementation, and engagement in scoring and developing assessments in the visual arts. Students in grades first through sixth receive a one-hour art lesson once every six weeks, which is provided by the district's skilled and talented art specialists. Lessons are based upon the Irvine Unified School District Art Matrix Plan and the California visual arts content standards. Sponsored by the Irvine Police Department, the Drug Abuse Resistance Education (D.A.R.E.) is a program presented to sixth-grade students and is aimed at preventing the use of controlled substances, membership in gangs, and violent behavior. The subject matter in the 10-week program is taught by sworn police officers during regular school hours in a lecture presentation format using PowerPoint, videos, and demonstrations. Kindergarten and first-grade students having difficulty meeting grade-level standards in reading are provided an opportunity to participate in our Early Intervention Reading Model program. EIRM provides students with an extra 30 minutes of small group systematic instruction in phonemic awareness, connection to print, pattern recognition, and phonics. Many children struggle from time to time with a range of family and life circumstances (divorce, loss, moves, stress) that make school more difficult. Thus, our school developmental counseling program, provided by our certified Elementary Resource Counselor, is able to provide opportunities for students to participate in individual and small group counseling experiences that provide support and skill-building for coping with family stressors, academic struggles, and personal issues. All fourth, fifth, and sixth graders at University Park receive 120 minutes of hands-on science instruction each week. An additional 60 minutes of science instruction is provided by each child's classroom teacher. This program is unique among Orange County school districts. This comprehensive science program includes a balanced curriculum including Earth, Life, and Physical Science as well as Investigation and Experimentation skills. Additionally, all students receive instruction and practice in the Scientific Method and students are required to complete a Science Fair project. Students having difficulty meeting grade level standards in language arts in first through sixth grade are provided an opportunity to participate in an after-school intensive reading program that meets two to three afternoons a week. This is an individualized computer-based program, Lexia/CORE 5, designed to help students improve their reading skills in the areas of fluency, vocabulary, comprehension, spelling, and writing. After students are assessed and introduced to the program, they will spend each day rotating at twenty-minute intervals between small group instruction and reading with the teacher; comprehension, spelling, and vocabulary activities on the computer; and independent reading, listening, and writing follow-up activities. The classes are taught by University Park teachers and support staff. The Gifted and Talented Education (GATE) program is provided for students in grades 4 – 6 who are identified with exceptional learning abilities. This program consists of small clusters of identified students within the general education classroom with a teacher who has been trained in meeting the needs of the gifted students. Appropriately differentiated instruction including depth, complexity, acceleration, and novelty is taught within the core curriculum. Grouping: GATE identified students often flourish in an environment where they have the opportunity to work with intellectual peers with whom they share a similar motivation and curiosity about learning. Pacing: The teacher is able to provide more in-depth coverage of a subject and accelerate the pace of instruction because there is limited need for remediation and repetition. Preparation: Participation in this setting prepares your child for the challenges of honors and accelerated programs at the intermediate and high school level. Enrichment: In addition to mastering the State Content Standards, students are given the opportunity to apply their knowledge through a variety of activities, which broaden and deepen their understanding. At University Park Elementary School the unique characteristics of the GATE child are identified and nurtured. We readily accept the challenge of providing a program of instruction to meet the needs of students whose initial levels of interest, understanding, and performance are significantly beyond those of their age peers. We strive to discover and extend academic interest and talent by differentiating the core curriculum and focusing on the development of the whole child. Enrichment and extended learning occur through music, art, creative dramatics, group discussion, debate, and class field trips. We value the uniqueness of each child and work together as a team to foster social awareness, self-esteem, and leadership skills for the children we serve. At University Park, all GATE students are placed in a GATE cluster class with other gifted students at their grade level. This allows GATE students to attend their neighborhood school and receive enriched and expanded instruction as part of their instructional program. In addition to the gifted students, the classes are composed of high achieving students or students with varying ability levels. GATE cluster classes have the advantage of being taught by educators familiar with the characteristics and learning styles of GATE students. The University Park GATE staff has considerable experience working with GATE identified students in the classroom. Members of our GATE staff have individually or collectively participated in a variety of trainings including but not limited to, Jr. Great Books Training, the Orange County GATE Conference, the UCI Writing Project, as well as training in learning styles and personality types. In addition, each one has earned their GATE certification through our school district’s training program. Differentiation in these ways means that students will be working on concepts and tasks that are more difficult or demanding than those of regular assignments. The tasks will not only relate to the core curriculum but also to the unique strengths that each student brings to the assignment. Although each teacher will bring his/her own instructional methodologies to the teaching of the GATE class, the four strategies outlined below are central to GATE instruction at all grade levels at our school. 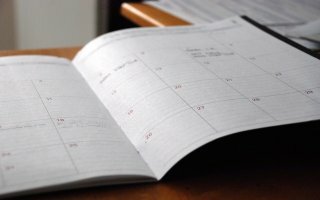 There is a district homework policy that outlines recommended time allocations for homework completion at each grade level. Both GATE and regular class teachers are required to adhere to these guidelines. Homework for students in the GATE cluster may differ from that of students in the regular classroom in that there are more opportunities for long-term assignments, and students are given additional responsibility for managing and completing assignments within the required time frame. Acceleration occurs naturally in a GATE class because children are grouped with their intellectual peers, and there is limited demand for remediation or reteaching. In the area of Language Arts, GATE students have typically mastered the mechanics of reading and are therefore able to read more extensively in a variety of areas. As a result, teachers routinely supplement the grade level anthology with a greater number of core novels and Jr. Great Books. Additionally, GATE students often possess an expanded vocabulary and extensive background knowledge about topics in the areas of science or social studies. This well-established foundation enables the teacher to move rapidly through the grade level textbook and provide opportunities for students to participate in challenging activities such as those required for the Science Fair or the Stock Market simulation in 5th and 6th grades. Acceleration in math occurs judiciously and is based upon the knowledge and skill level of the students. For example, all students in sixth grade delve deep into pre-algebra. Students who demonstrate mastery will be taught algebra, advanced geometry, and will be challenged to apply their learned knowledge to real-life situations. 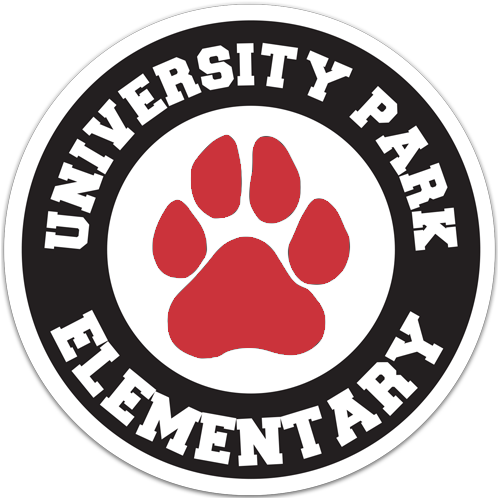 University Park receives the services of a counseling assistant who works with small groups in the areas of classroom behavior, self-concept and social skills. In addition, the assistant focuses on managing reactions to major changes at home or at school. 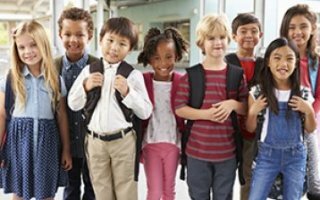 It is very common for some young children to have trouble with adjusting to the classroom, getting along with others, managing their feelings, dealing with changes in their families, paying attention, regulating their behavior, and developing the social and emotional skills they need for school and life success. The University Park Guidance Assistant Program is designed to offer support to these students during their school day so that they can increase their learning-readiness and move ahead successfully in school. Learning-to-Learn skills (attention, focus, listening). Our district nurse (on site two days per week) provides students with vision screening (grades K, 3, 6) and hearing screening (grades K, 2, 5) and assists students who have a physical impairment and health-related problems. Information and guidance is provided to staff, parents, and students when medical conditions affect academic and social growth. The district provides a Health Clerk five days per week. Provided by our PTA in cooperation with the City of Irvine Parks & Recreation Department, Lunch Time Activities (LTA) offers structured games and activities for students in grades kindergarten through sixth grade two days a week (Tuesday and Thursday) during lunchtime. The program is led by staff from the City of Irvine’s Parks and Recreation Department. Supported by the Irvine Public School Foundation (IPSF), kindergarten through third-grade students are provided a centralized music curriculum taught by credentialed music specialists. This program provides students with a solid foundation in musical concepts in a fun, supportive environment. Vocal and instrumental music are a district-provided program for students in fourth through sixth grades. Upper-grade music instruction is given in a "block music" system. Unlike the more common "pull-out" system, students do not miss regular classroom instruction to participate in the music program. At University Park, all students receive music education and music is considered as important as all other curricular activities. Students receive two forty-minute lessons a week. In fourth grade, each student has the option of either participating in the vocal music program or learning to play a string instrument (violin, viola, or cello). Fifth-grade students may participate in either the vocal music program, continue to play a string instrument if they played on the previous year, or begin a wind instrument (flute, clarinet, saxophone, trumpet, trombone, or baritone). Sixth-grade students are given the opportunity to participate in the vocal music program or continue with a more intensive study on their chosen instrument. The music curriculum is based on the Irvine Unified School district's Music Scope and Sequence, as well as the California State Framework. 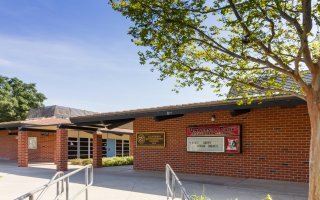 The elementary music program and staff are highly regarded throughout the County and are used as a benchmark of quality for other school Districts. Each respective school provides a culminating concert at the end of the year. University Park Elementary School has a Newcomers Program that provides Structured English Immersion (SEI). The primary focus of the Newcomer/SEI Program is the rapid and effective acquisition of reasonable English fluency and the foundational academic language and literacy skills critical to student academic success. (California Education Code Section 300; 400). Visit the IUSD website to discover more information about the Newcomer/SEI Program. University Park sixth grade students spend five days at High Trails, which is located in Barton Flats in the San Bernardino Mountains. Outdoor science school offers students an outdoor classroom experience by providing an understanding of the natural world through hands-on experiences with nature. The curriculum is designed around the statewide science standards. Students are guided through their experience by trained outdoor education staff members where direct experience and observation provide unique learning opportunities. Students journey through the Thousand Pines’ “wilderness” on numerous trail hikes throughout the week to investigate the local flora, fauna, geology, habitats, ecosystems, meteorology, weather and constellations. The purpose of University Park’s PRIDE Kids program is to empower students so they may improve the educational experience for all students, promote spirit and pride in our school, represent the views and opinions of the student body, and provide school-wide leadership. One part-time school psychologist provides assistance for the behavioral, social/emotional, and cognitive needs of students. Diagnosis of student needs, counseling/guidance for students and parents, testing, and consultation with staff are available. Participating in program quality reviews to affirm program strengths and identify areas for growth and improvement at University Park. University Park’s Sheltered English Immersion Program (SEI) is designed to provide academic instruction for students with less than beginning or early intermediate fluency in English. Clusters of English Language Learner students are grouped in mainstream classrooms. The primary focus of the SEI Program is the rapid and effective acquisition of reasonable English fluency and the foundational academic language and literacy skills critical to student academic success. Program participation is not normally intended to exceed one year unless otherwise determined necessary to meet the identified instructional needs of a student. This program is designed to assist children who demonstrate significant deficits in academic skills. A student can qualify for the program by demonstrating a specific learning disability or a significant discrepancy between ability and academic performance. After a student has been identified as qualifying for the program, an Individualized Education Plan supported by the program and the classroom teacher is designed to assist the students in making reasonable academic and social gains utilizing his/her strengths and remediating weaknesses. This program is designed to diagnose and provide therapy for students who demonstrate difficulty in speech, language development, and language-based skills. Students who qualify for this program have an Individualized Educational Plan designed for them and receive individual or small group assistance as appropriate. TK is the first year of a two-year developmental kindergarten program servicing children who turn five between September 2 and December 2 each year. It is designed to build a solid foundation for success in school for “young” five-year-olds. The program is funded by the Kindergarten Readiness Act of 2010 that changed the kindergarten entry age in 2014-2015 to September 1.